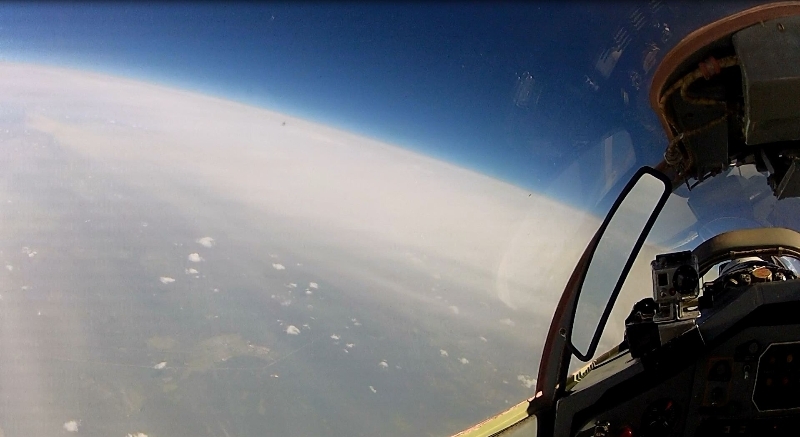 Edge of Space flight in the MiG-29 Fulcrum to 22km altitude! Unleash your inner Maverick! The MiG-29 Flight is the only fighter aircraft available for Supersonic Flights and Edge of Space Flights. The MiG-29 Fulcrum is also a modern fighter aircraft, belonging to the 4th generation. Given the fact that even European Air Forces still use the much older MiG-21 Fishbed, it is very surprising that tourists can fly in such modern aircraft to an altitude of up to 22km (13.7 miles or more than 72,000 fts). 17km is guaranteed, the altitude reached depends on the weather and the air temperature. The MiG-29 Fulcrum is a Mach 2+ interceptor and a state of the art multirole fighter jet. What are the requirements to book a flight in the MiG-29 Fulcrum? If you’re healthy, you’re probably good to go. See a detailled list of what’s needed for a MiG flight. What will I get if I book an Edge of Space Flight? A handshake with one of Russia’s top guns who holds licenses of various combat aircraft! 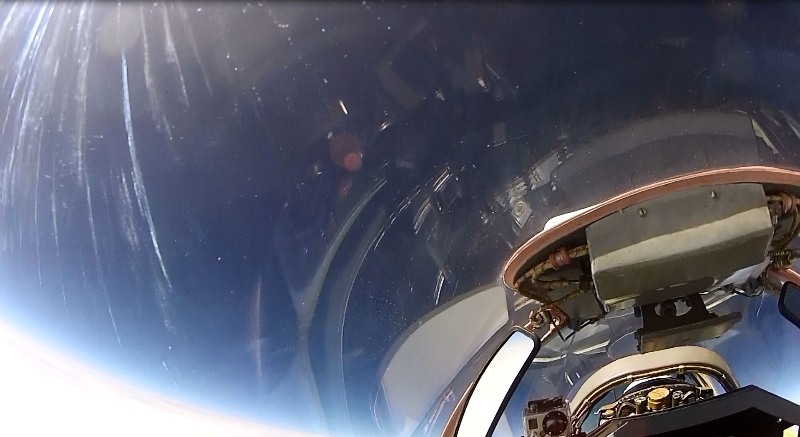 What does it cost to fly to the Edge of Space? Currently, a 45-50 minutes MiG-29 flight costs EUR 17,500.00, including all paperwork and translation plus transfer services. However, prices change often and we promise you to offer the lowest possible price. The Edge of Space flight is one of the most expensive fighter jet flight experience we offer. 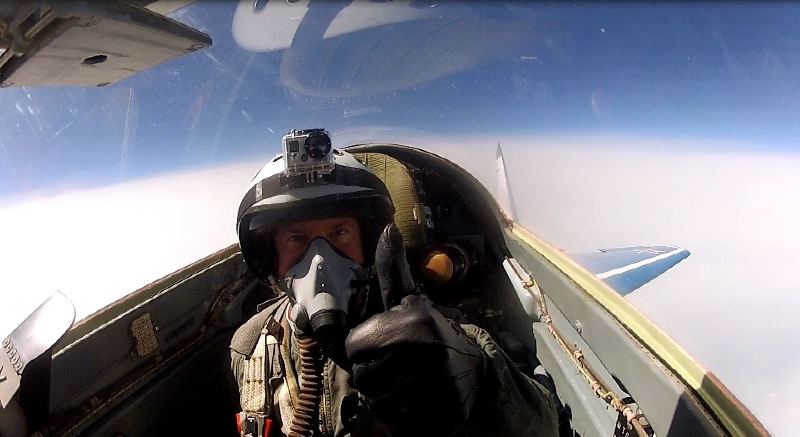 In case you prefer aerobatics you should think about our normal MiG-29 Flight with focus on aerobatics. It is substantially cheaper, starting at EUR 12,500.00. Please contact us for the latest pricing information. The Mikoyan MiG-29 Fulcrum is an extremely powerful figher aircraft. It climbs at a rate of 330m/s and has a thrust/weight ratio >1 – which means it can accelerate when climbing vertically. Just like a rocket. The MiG-29 is the only supersonic fighter jet available for flights with Civilians, worldwide. In other words, your one and only chance to break the sound barrier. On top of that – you have a higher back seat to ensure you have a great view over the pilot – and the Fulcrum is also a very nice and sporty looking plane with excellent manoeuvrability. In short – the perfect fighter jet to fly in. It is very well maintained and flown by test pilots. The MiG-29 is a modern 4th generation multirole fighter used by many Air Forces, also in the NATO. The MiG-29 flight can’t be booked on short notice – we’ll need at least 60 business days to get airbase access in Russia. Russia has a lot to offer, especially for aviation freaks. We recommend to stay in Moscow for two or three days and visit the famous Monino museum and Star City. 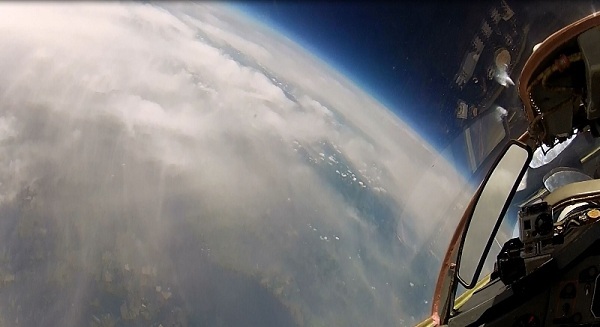 Whatever you prefer, just let us know and we will make your Fighter Flight Adventure in Russia even better. We have a Russia specialist taking care of all your needs and travel arrangements. Please use this form to book a mig 29 flight or send us an inquiry. The more fields you fill out, the better we can advise you. This is the most basic contact information; please fill out all fields in this section. We suggest to indicate your mobile number so we can reach you in urgent situations. In order to obtain access permission to the military area, please supply all your personal data and attach a passport copy to your booking. At this point, this information is optional - we can also settle all of this later. However, the sooner we receive the needed information and documents, the better we can prepare your flight. Please describe when you'd like to fly and which additional services, apart from the flight itself, you request. Please indicate an approximate date when you'd like to fly. Note there's a strict 60-days lead time to obtain all required permissions. I'm interested in a complete arrangement including hotel stay, visa and airline tickets. I'm interested in more aviation-related offers that fit my flight such as museum and air force base visits, zero-G weightlessness flights and the like. I'll do the travel planning on my own and just want to book the flight. Please use the message field below if some of your requirements aren't met with the criteria above. 1 - I'll be alone there. 2 - I'll bring one relative or friend along. 3 - I'll bring two relatives or friends along. Please indicate how many people you'll bring to the airfield. Please include all other information you consider helpful for your booking here. This can include former pilot experience (even though you can also fly with us if you have no prior flight experience), hotel requests, needed airline tickets and more. Please specify if you'd like to book a flight or if you contact us for an inquiry without commitment. Of course, we will keep your data private. We will never, under any circumstances, forward your data to third parties unless needed for arranging the flight.